It’s never too early to avoid wrinkles—either preventatively or actively. But wrinkles aren’t the only issue. We need to think about our skin’s hydration, elasticity, firmness, density and clarity. And let’s not forget about sun exposure. 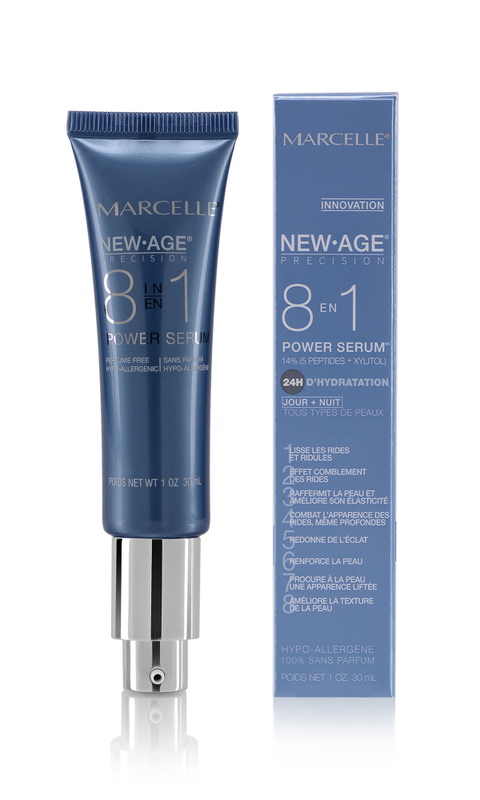 Thankfully, Marcelle has anti-aging products for women of every age and stage. If you’re a student, a new mom or menopausal, there’s a serum or cream to plum your skin, protect it, regenerate cells, improve elasticity and refine the contours of your face. Patented ingredients—such as Idealift™, Matrixyl® Synthe and Heliomoduline®--help protect and reinforce the natural structure of your skin. The Ideal Skin Perfector has been formulated to give women the flawless skin they’ve always dreamed of. This magic serum has been tested on various women and the results were amazing: an instant glow, improved skin tone and texture in just two weeks, and significantly reduced pores, fine lines, sun spots, and wrinkles in just under a month. We suggest making the Ideal Skin Perfector the first step of your skincare routine. Apply it in the morning and/or at night prior to your Marcelle moisturizer of choice. 97% of women felt their skin was immediately smoother and softer. After one week, 87% saw more radiant skin and 82% saw better skin texture.